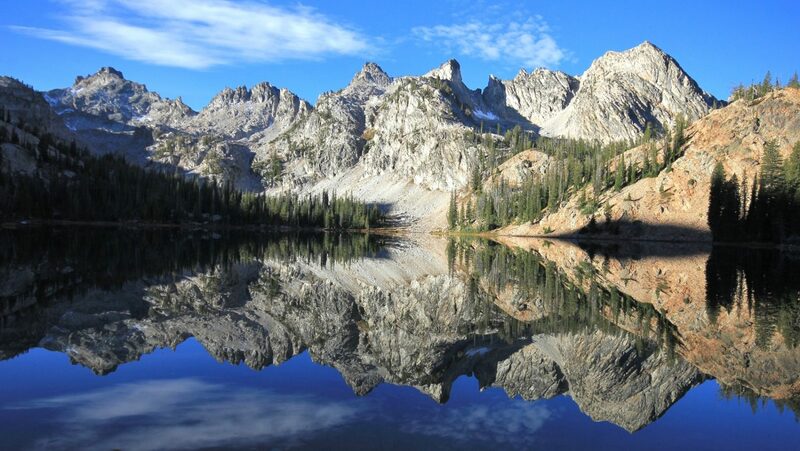 Lithium Iron Phosphate (LiFePO4) is the lithium battery chemistry commonly used in off-grid homes, boats, and RVs because of its stability (rarely explodes) and is well-suited for deep cycle applications. After months of trials, trepidations, and self-convincing I have become a huge fan, but admit these batteries are not for everyone. Up front cost is several times that of wet or “flooded” cell lead acid batteries—a big expense for anyone on a budget. Additionally, a charge controller that supports a lithium charge profile, and a battery monitor, is recommended to better utilize your investment. However, if you spend much time in your RV I feel up-front costs will be surpassed by long-term savings. Even for infrequent RVers I could see going lithium to take advantage of their superior performance. Of the features we love about our 2019 Jayco Greyhawk house battery capacity is not one of them: the tray is designed to hold a single group 27 and the stock Harris 27D170 battery is not a deep cycle. On our first trip it lasted two days before it died; we ran the inverter and watched a single movie each night on the DVD player, otherwise we barely used any power. We knew the battery situation was dire and our first trip proved it. We knew we would need at least two house batteries, but where would we put a second? The logical spot appeared to be the compartment next to the battery tray. I measured the load-side cable lengths and thought it doable. However, a sealed compartment would not be a wise choice for flooded-cell lead acid batteries due to gassing and possible explosion. The alternative is either lithium or Absorbed Glass Mat (AGM) batteries. Gassing is not an issue for either: lithium due to chemical stability of the cathode material and for AGMs because they are valve-regulated. AGMs are only 1.5 to 2 times the cost of flooded cells and no other component purchases would be necessary; an expense I considered reasonable for the added capacity. The next question was whether to buy two 6V AGM batteries and connect them in series or two 12V in parallel. In the 6V golf cart battery sizes there can be significant savings in price per Amp-Hour; however, our battery compartment isn’t tall enough (group 27) for a golf cart battery so for us this was no advantage. I decided to go with 6V batteries for the simple reason that only one cable would be necessary to connect them in series between compartments. I found two reasonably priced 6V AGM batteries on Amazon for a little over $400. They were not a popular brand, but I was willing to take a chance to save some dollars. Other than the embarrassing black eye I gave myself while jamming my head into the compartment to install the second battery, the installation was a success. 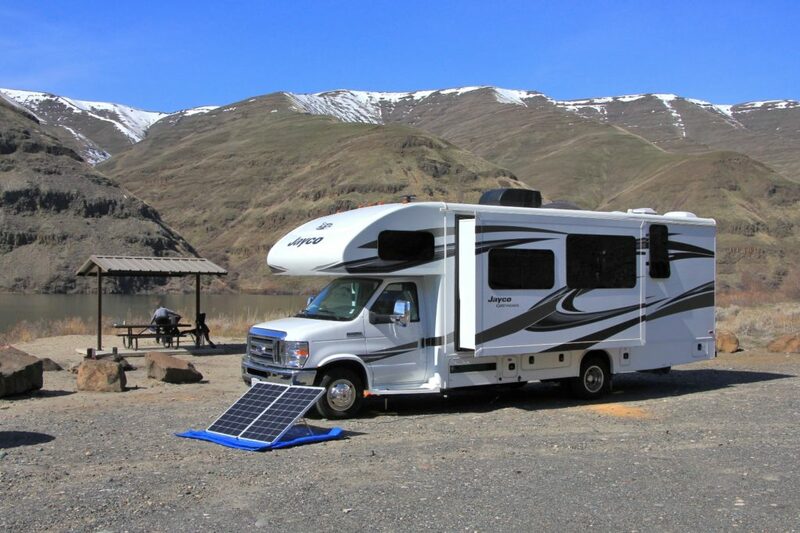 Several weeks later I tested our new Zamp 200W portable solar panel before an early fall trip. After my test I unplugged the solar panel with the inverter and one of the TVs still on—five minutes power was lost. Crap. The batteries should have been at full charge. I measured the voltage, one battery was at 6.4V and the other at 5.0V. We already had a dead battery. It is unclear whether I killed it by over-charging or if it was a bad cell from the start. It could have been a combination of factors. Most likely it was the quality of the battery—sometimes you get what you pay for. I suspect a higher quality AGM battery such as Lifeline would have been better suited to handle the flooded cell charge profile of my RV charge controller. Besides cost the reason I did not go this route was size. The closest Lifeline was a group 31 battery, which would have required modifications to the battery tray. We received a full refund for the AGMs and considered our options. Lusha thought outside the box (literally) and suggested we buy flooded-cell batteries and hook the second battery up externally to avoid venting issues. We would set it under the RV and hook it up each time we set up camp. This would be a cheaper way to go than both AGMs and lithiums, but more cumbersome. I looked at the reputable AGM brands. Both Fullriver and Crown have group 27 AGM sizes. I was leaning toward Fullriver, a trusted local dealer sells them at a fair price and I felt the quality was good. Then, an email from my friend Tom got me thinking about the mechanical stability of the weight (67 lbs) of one AGM in the plastic side compartment vs. 31 lbs for lithium. This exchange turned out to be the tipping point that set me on a different path. I was now ready give lithiums serious thought. My biggest problem with them had always been the staggering cost: what would we be getting for those extra dollars? Lifespan, the total number charge/discharge cycles to expect over the life of a battery, is the best indicator of value. Additionally, to compare cost, Depth-Of-Discharge (DOD) must be discussed. DOD is simply an inverted view of State-Of-Charge (SOC), or the percentage of charge a battery stores at any given time. If a battery is 30% DOD, then it’s SOC is 70%. Lead acid lifespan is specified at 50% DOD—discharge below this level could mean a dead battery in a year or less. However, modern lithium batteries can be discharged to 100% DOD on a regular basis and still achieve a respectable lifespan. This is due to superior chemistry of LiFePO4 batteries and protection provided by on-board battery management systems (discussed later). The Battleborn BB10012, the brand and model we purchased, specifies it’s minimum lifespan to be 3000 cycles. For comparison with lead acid, assume a linear relationship between DOD and lifespan: 3000 cycles becomes 6000 at 50% DOD. Trojan, a leading flooded-cell lead acid battery brand, rates their $461 27TMX, 105 AH, battery life to be 600 cycles @ 50% DOD. Comparing cost per cycle, the Trojan is $461/600 cycles = $0.77/cycle and the $949 Battleborn is $949/6000 cycles = $0.16/cycle—about 1/5 the cost. Consider 3000 cycles for a moment. If you were to expend a cycle every day it would take 8 years to use all of them. We anticipate consuming at most 50 amp-hours per day, with two 100 AH batteries @ 100% DOD we could do this for 32 years. Factoring in the effects of aging, non-ideal temperatures, and a slew of other factors makes this highly unlikely, but it’s fun to think about. Lithium has double the usable capacity compared to a lead acid battery with the same amp-hour rating, which translates to a huge advantage in weight and space. Comparing the 55 lb Trojan 27TMX 105 AH @ 50% DOD to a 31 lb Battleborn BB10012 100 AH @ 100% DOD, to achieve at least 200 AH of usable capacity, you would need four Trojan batteries weighing 220 lbs vs. two Battleborns weighing 62 lbs. This is a big deal for RVs with limited cargo carrying capacity. An important point to consider with regard to capacity is the effect of the rate of current discharge. Peukert’s law states that as the rate of discharge increases capacity decreases; this law is what drives the 20 hour rating for deep cycle batteries. A battery rated for 100 AH at the 20 hour rate will discharge in 20 hours when a 5 amp load is applied. However, if the same battery is discharged at a faster rate than 20 hours the capacity will drop significantly for lead acid batteries, but lithiums remain largely unaffected. The Peukert Exponent setting values recommended for the Victron BMV-712 battery monitor I purchased are 1.25 for lead acid and 1.05 for lithium. Suppose a 15 amp load is applied to each battery type rated for 100 AH at the 20 hour rate. The Peukert formula calculates the lead acid battery will have an effective capacity of 76.0 AH vs. 94.7 AH for lithium. Less weight and more robust energy storage—the case for lithium grows. Literature for my Progressive Dynamics PD4060 Lithium charger module claims 2.5 hours to fully recharge a 100 AH lithium vs. 6 – 12 hours for lead acid. Comparing behavior at the charge stages illustrates how this is possible. Bulk – The first and fastest stage with the highest charge currents. For lead acid this occurs up to about 80% SOC. For lithium batteries you can continue to bulk charge to 90% or more, which accounts for much of the difference in charge time. Absorption – At this stage voltage is held constant and current decreases as SOC increases. Absorption ends after a preset time or current drops below a defined threshold. It is at this stage that 100% SOC is reached. For lead acid charging to maximum SOC on a regular basis is recommended to extend the life of the battery; however, for lithium many sources claim this is unnecessary and even a little harmful. I am still trying to figure this out. 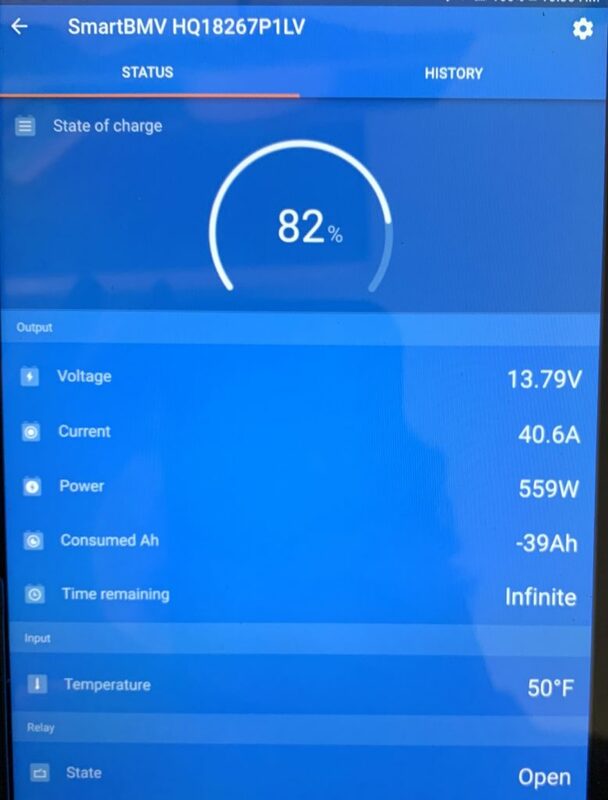 Do I stop charging after 90% SOC, further decreasing charge time? Not sure yet. Float – At this stage 100% SOC has been reached and voltage is decreased to avoid overcharging, but a small charge current remains to avoid self-discharge. This stage is unnecessary for lithiums because they have a low self-discharge rate. Equalization – At this stage a higher than normal charge voltage is applied for a short duration to remove sulfation from the plates of lead acid batteries. This stage is unnecessary for lithium battery chemistry. Another advantage of lithiums is that most come with a BMS—it would be foolish to spend the dollars and not have one to protect your investment. They have built-in overcurrent protection and automatically disconnect when voltage drops too low or when the battery is at risk of overcharge. They also protect against temperature extremes by preventing a charge when temperatures are too high or low. Whereas temperature compensation during charge is important to extend the life of lead acid batteries, this is unnecessary for lithiums as it can confuse the built-in temperature monitor. Lastly, the BMS balances individual cells during charge, further extending lifespan. As compared to lead acid, lithium voltage varies little— 0.2 volts through much of the discharge—which helps to ensure electronic devices run smoothly throughout the cycle. Some say this is a disadvantage because voltage cannot be used to gauge capacity; however, if accuracy is what you are after, voltage-based capacity measurements are not a good choice. Manufacturers of lead acid batteries recommend using voltage to determine capacity only after resting in an open circuit state for 24 hours; at a minimum 4 hours. This is impractical while on a trip and the batteries are used continually. Regardless, determining SOC by any means is a challenge due to variations in temperature and a host of other factors. The best alternative I can see is to purchase a high quality battery monitor that counts coulombs; the amp-hours going into and out of your batteries. Our maiden voyage with the new system was a smashing success. Our Zamp 200W portable solar panel restored power we used the first day in a few short hours on the lithium setting. And, we are smitten with our Victron BMV-712 battery monitor. In addition to accurate state of charge, observing instantaneous current as loads are applied has already helped us better understand our power usage. I expect to learn a great deal more about these batteries as we make our transition to full-time RVing. Thus far, the money we spent appears to have been a wise investment! 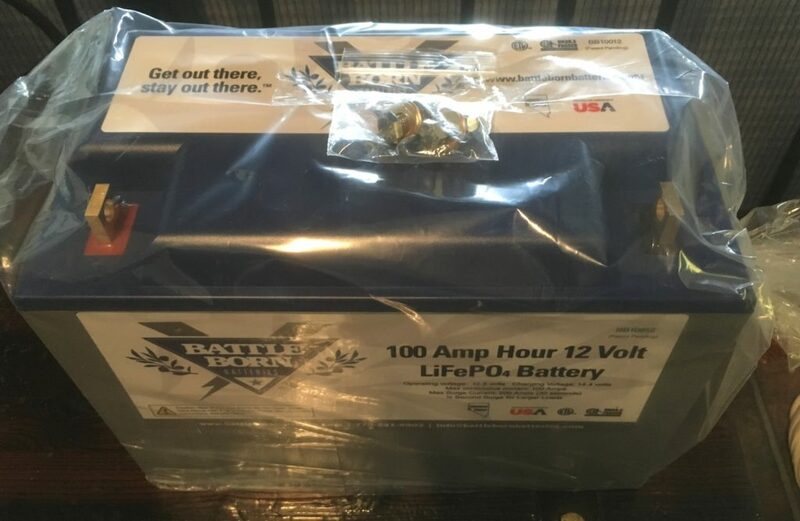 My next post in this series will cover my thought process in choosing Battleborn batteries and related components, plus the work involved for the installation. ← RV Life: Traveling with Cats – Jake & Indy’s First Big Adventure! Sounds like the two of you are thinking on the same brain waves as far as accomplishing what you need to do to make things work. I had no doubt you would accomplish that! Jason, I really like what you did here. It is sure to help others. Nice job. Mom’s right, you are a smartphone one. One note, I talked to factory about my lithium and was told to avoid going below 20%. Helps a little. I’ve never been below 44%. I have not needed generator for battery in many weeks. Having a lot of generation helps recovery when partly cloudy days happen. This system will serve you well; I love ours! And we sure lucked out getting to do all the install at the Bennett Ranch!